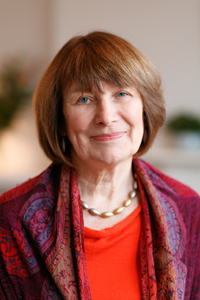 Vivienne Shields is an established and experienced psychotherapist who has been in practice since 1993. She trained as a Family Therapist and subsequently trained in Gestalt and body oriented approaches. She takes an integrative psychotherapeutic approach and enjoys working with individuals, couples and families. She is a trained Mindfulness teacher and uses theory and techniques from mindfulness to compliment her therapeutic skills. She has always worked with couples but in recent years she has trained and become an accredited EFT (Emotionally Focused Therapy) Couples Therapist and now a large part of her practice is working with couples using this approach. She is currently training as an EFT Couples supervisor. Fiona MacAnna is an experienced and accredited psychotherapist and counselor. She is accredited with the Irish Association for Counselling and Psychotherapy. Fiona trained with Trinity College Dublin and Dublin City University. Her work is Person-Centered and incorporates Psychodynamic, Cognitive Behavioral (CBT) and Mindfulness approaches. Fiona works with a broad range of issues but has a special interest in anxiety related issues and her approach is integrative, collaborative and respectful to the individual needs and personal goals of the people that she works with. She passionately believes in the capacity of the individual to take responsibility for themselves, become more accepting of themselves and to become more confident to make choices that are helpful, creative and empowering. 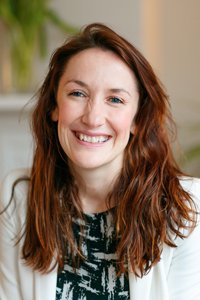 Sarah Ruane is an experienced Counsellor and Psychotherapist. Sarah has a Professional Diploma in Counselling from the Liberties College, Dublin and a Postgraduate Diploma in Bodywork Psychotherapy. She also has extensive training in Gestalt Psychotherapy and Compassion Based Mindfulness therapy approaches. Sarah has worked with individuals for the last 12 years. She brings a warm, open, non-judgmental approach to her work. She works extensively with relationship issues, in particular our relationship with ourselves, communication and sexual intimacy issues. She also works with stress and anxiety, struggles with family work/life balance, self-esteem and addiction. Sarah also has experience of facilitating addiction support groups, bereavement support groups and mindfulness groups. 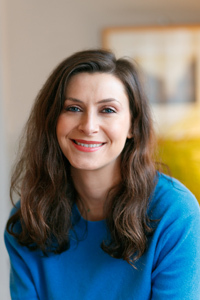 Sarah is a fully accredited member of the Irish Association of Counsellors and Psychotherapists (IACP), the Irish Association of Humanistic and Integrative Psychotherapists (IAHIP), as well as a registered member of the Irish Council for Psychotherapy (ICP). Deborah Mulvany, B.A. M.Sc. Couns. Psych., MBS. MOS., Reg. Psych., Ps.S.I. 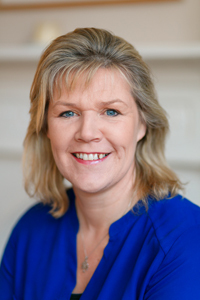 Deborah Mulvany is a Chartered Counselling Psychologist accredited with the Psychological Society of Ireland. A graduate of Trinity College Dublin, Deborah has worked in a variety of mental health settings since 2005. She offers treatment for individuals and couples experiencing a wide variety of difficulties. These may range from coping with major life transitions to more complex and long standing issues such as depression, anxiety, addiction, and eating disorders. 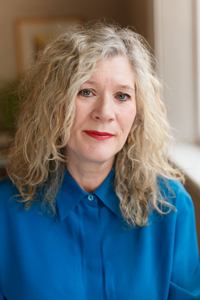 With a special interest in relationships, attachment, and intimacy, Deborah’s work emphasizes developing a meaningful therapeutic relationship as a secure base to work through life’s challenges. She integrates evidence-based approaches such as Emotion Focused Therapy and Cognitive Behavioural Therapy with Psychodynamic psychotherapy. Deborah has delivered trainings and workshops on suicide awareness, attachment, stress management, mindfulness, eating disorders and addiction. In 2013, she was commissioned by RTE to present a documentary on sexual health and relationships among young people in Ireland. Victoria Lloyd is an experienced accredited Integrative and Humanistic Psychotherapist and Counsellor. Her practice is through a Humanistic and Integrative model which draws on a wide range of approaches suited to the individual client. She works with individual and emerging adults who are facing any of a wide range of emotional issues, including anxiety, depression, stress and difficulties in relationships in work, life transitions or feeling stuck, all in a safe and holding environment. Having worked for a number of years with people who have chronic illness and their families, Victoria’s clients now also include people who are affected by illness, loss and bereavement. The experience of working to help people understand and manage their feelings on a wide range of issues leads Victoria to believe their ability for change and personal growth. Linda joined the Elmwood centre in July 2016 and oversees the day to day operations of the practice. She has a background in the health and fitness industry in Ireland and the USA, and has also worked with several corporate companies in sales and marketing. Linda enjoys and is committed to working in a therapeutic environment and brings warmth and compassion, in a professional way, to her work with clients and therapists. 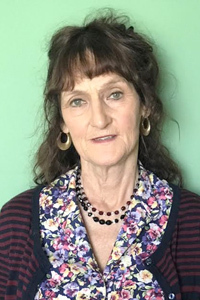 Linda is in her final year completing her Degree as an Integrative Counsellor & Psychotherapist and is a member of the professional body IACP. She also holds a HDip in Logotherapy & Existential Analysis accredited through the Viktor Frankl Institute of Vienna.